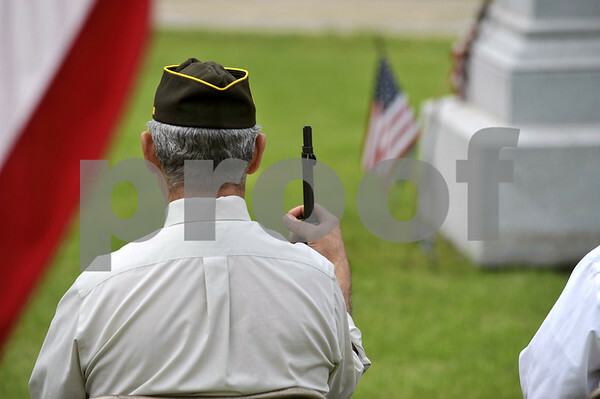 Honor Guard member Leroy Jones, of Dayton, holds onto his M1 Garand Monday morning during the annual Memorial Day Observation in the Dayton Cemetery. 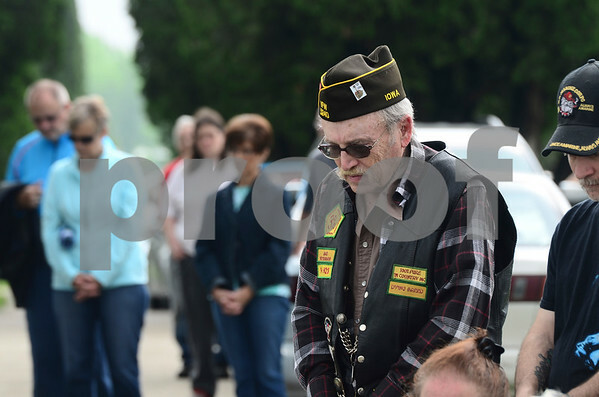 Don Kelly, a Vietnam veteran, bows his head during a moment of silence for soldiers who died at war during the Memorial Day service in Eagle Grove. 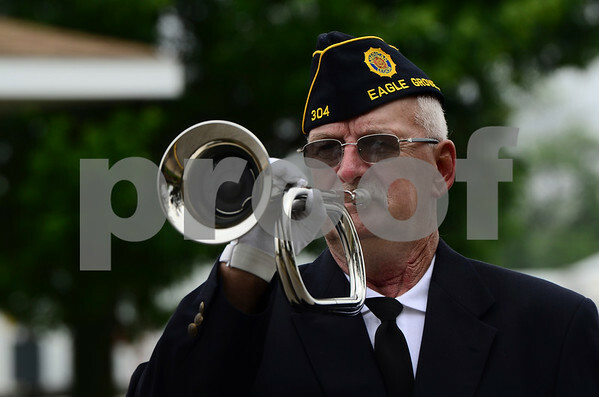 Eagle Grove American Legion Post 304 member John Asche performs taps during the Memorial Day service in Eagle Grove. 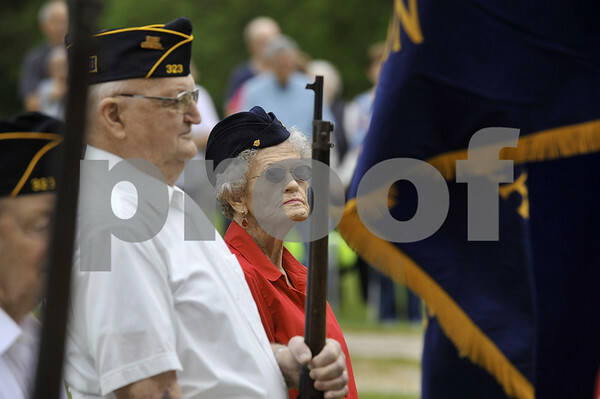 Imogen Hanson, of Dayton, stands at attention along with Frank Fischer, also of Dayton, during the annual Memorial Day Observance in the Dayton Cemetery. 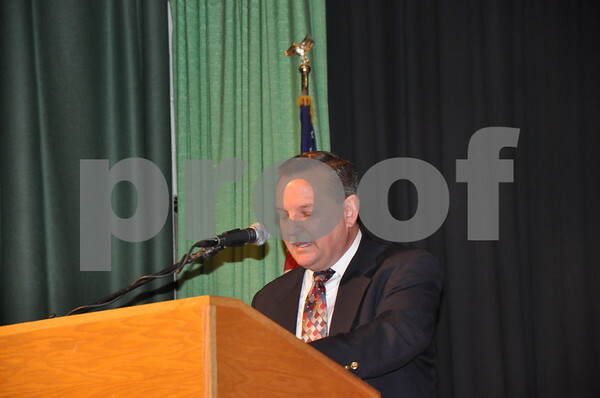 Hanson served in World War II in the Navy Waves. 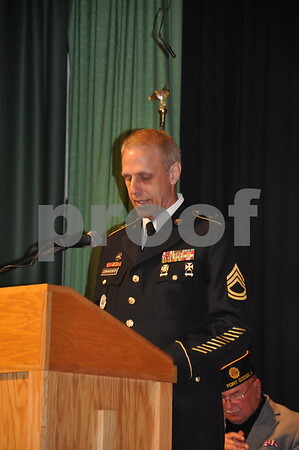 Fischer served in the Army during the Korean War. 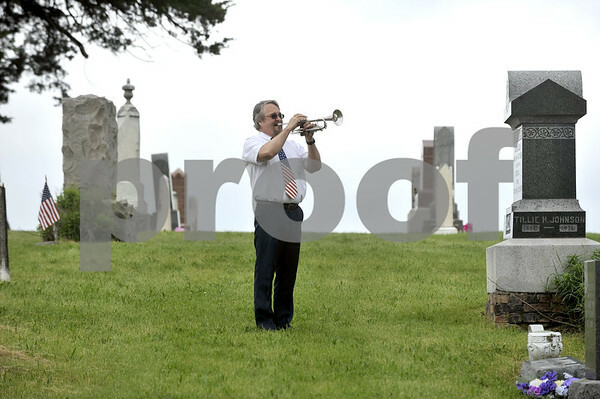 Southeast Valley Middle School band instructor Dave Swaroff plays "Taps" Monday morning during the Dayton Memorial Day observance in the Dayton Cemetery. 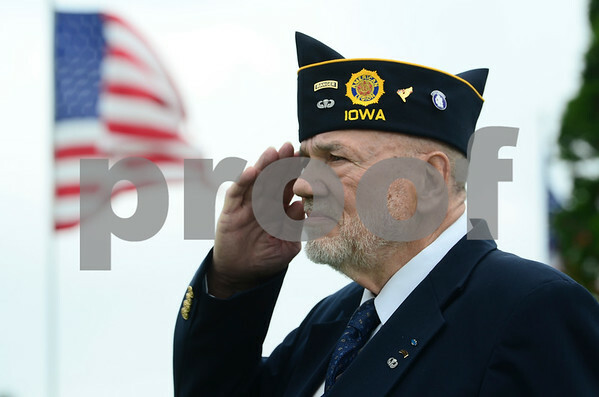 An American flag waves behind Larry Ivers, commander of American Legion Post 304 in Eagle Grove, as he salutes during the national anthem. 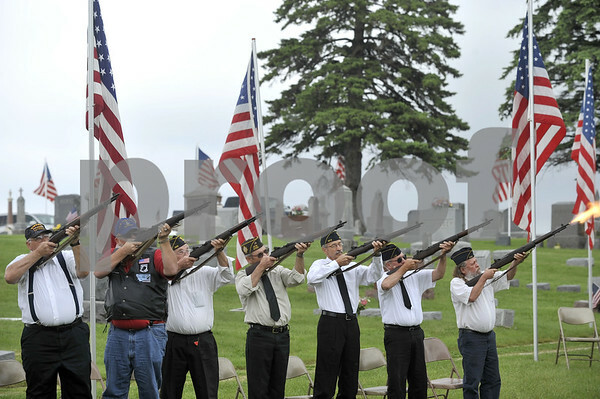 Members of the Honor Guard fire a salute Monday morning in the Dayton Cemetery as part of the annual Memorial Day Observance. 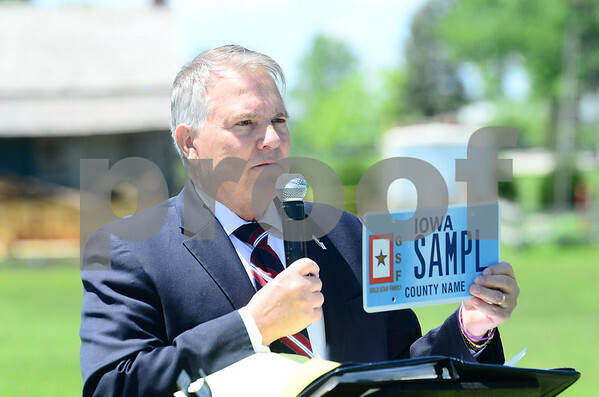 Daryl Beall told those who attended the ceremonial dedication of the Vietnam Vetrans Memorial Bench outside the Fort Museum Monday that anytime they see a Gold Star Family license plate, they should say a prayer for the family because they have a loved one who died defending America's freedoms. 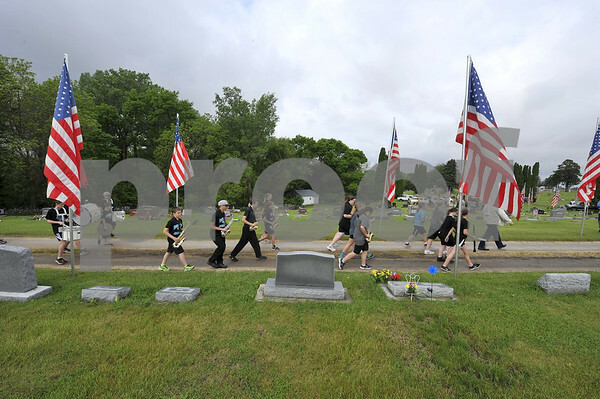 The Southeast Valley Middle School band marches into the Dayton Cemetery Monday morning to provide the music for the annual Memorial Day Observance. 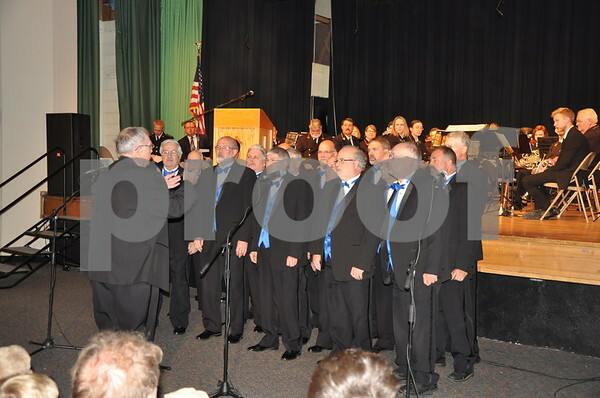 The students played "Nearer My God To Thee" and the "National Anthem." 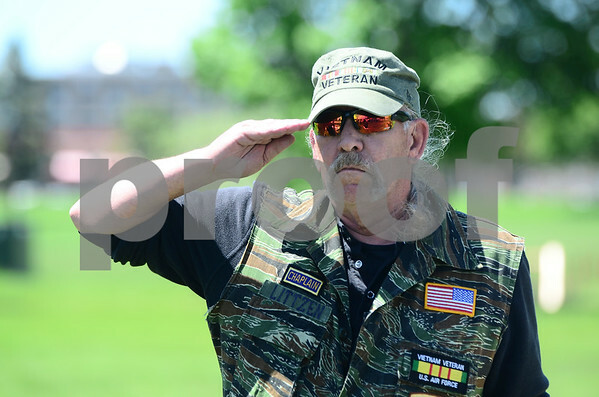 Michael Litzen salutes as the Star Spangled Banner is played during the ceremonial dedication of the Vietnam Vetrans Memorial Bench outside the Fort Musuem Monday. 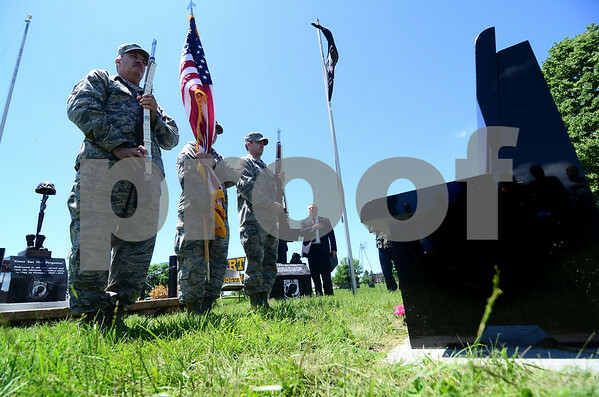 Members of the 133rd Air National Guard present the American flag during the dedication of te Vietnam Vetrans Memorial Bench outside the Fort Museum Monday. 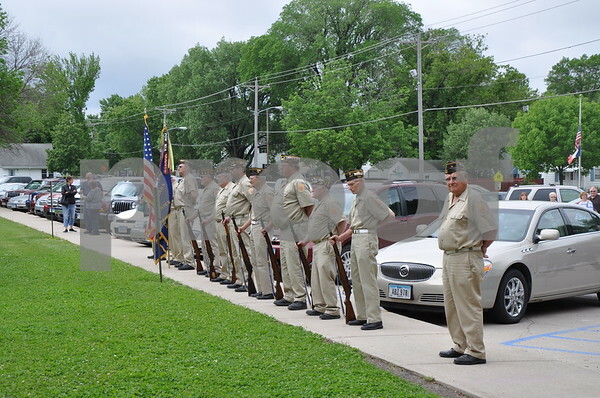 Myron Amdahl, former Eagle Grove mayor and Wright County supervisor, tells more than 100 people that Memorial Day is about honoring those who lost their lives defending freedom and that it isn't a day marking the first barbeque of the year. 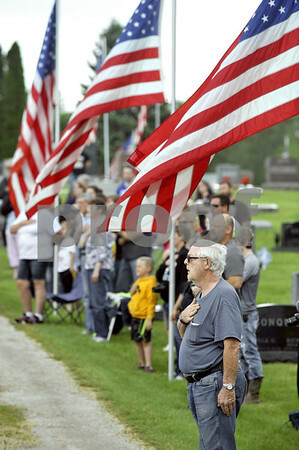 John Sl LeValley, of Wichita, Kansas, puts his hand over his heart Monday morning during the Memorial Day observance in the Dayton Cemetery. 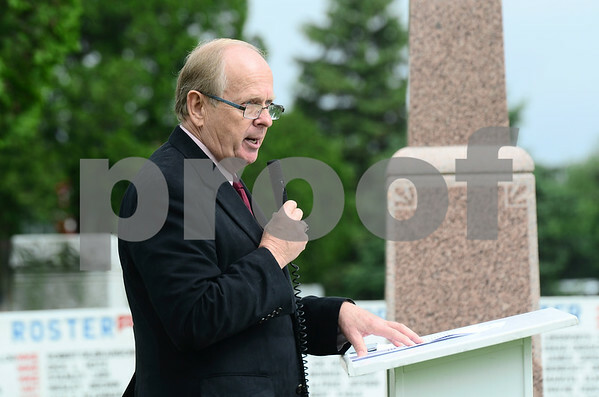 LeValley was honoring three of his relatives that served and buried in the cemetery. 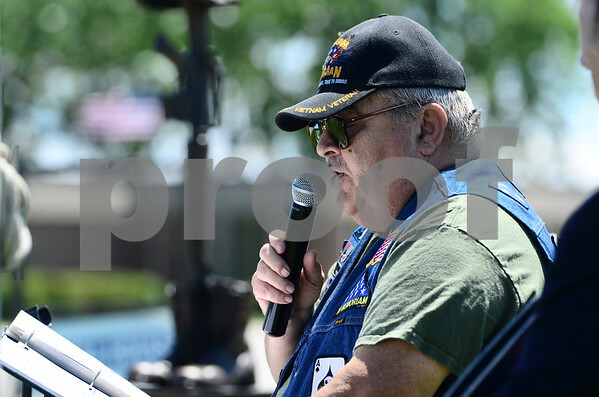 During the veremonial dedication of the Vietnam Vetrans Memorial Bench outside the Fort Museum Monday, Raymond Witzke told visitors that Memorial Day is not a happy day. 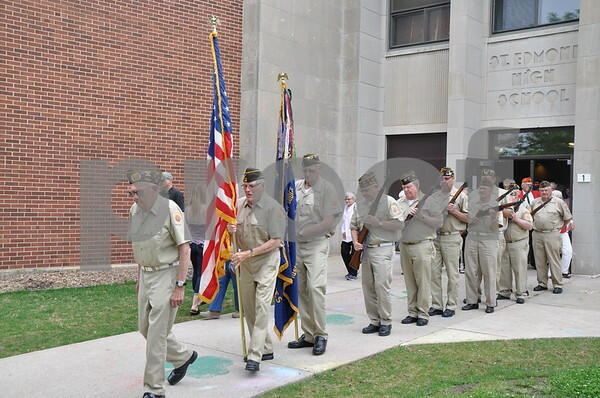 He said it is a day to remember veterans who died defending America's freedoms. 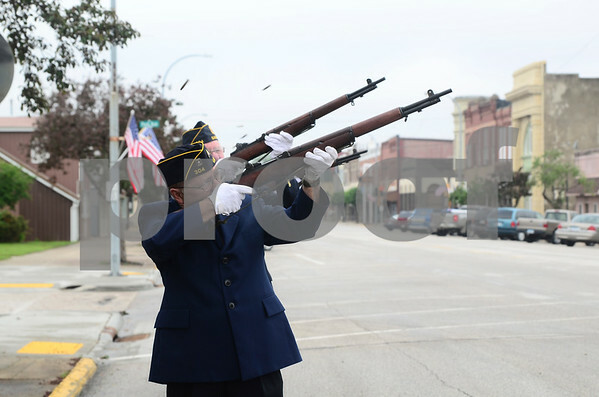 Mike Willie and other members of the Eagle Grove American Legion Post 304 perform a 21-gun salute to honor soldiers who died while serving in the Armed Forces. 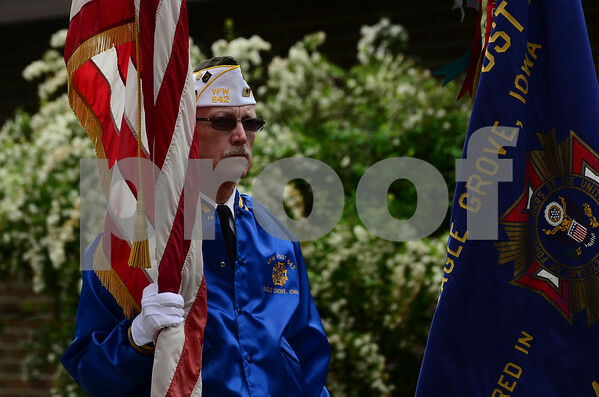 Ron Bliss, of the Veterans of Foreign Wars Post 642 in Eagle Grove holds an American flag during a Memorial Day service in downtown Eagle Grove.